Masses of mauve flowers. Jan -Dec. Blue/Green leaves. Ht. 60cm. Sp. 60cm. Sun. Well drained soil. 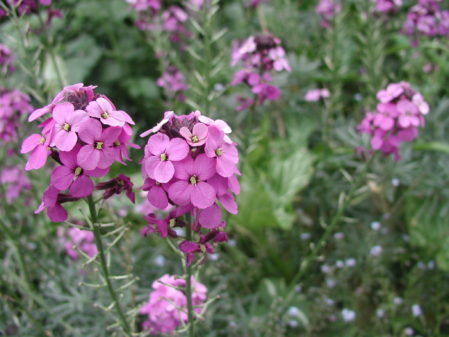 Can be short lived but an essential plant for the garden.